I have to admit that the cover is the first thing that drew my attention on the book. I love reading magazines when I get a chance, and especially, the ones that feature the top anythings – sports stars for a year, hottest guys in each states etc. So when I read the premise, a girl assigned to track down the “Ten Girls to Watch,” I knew that I had to get a hold of it. 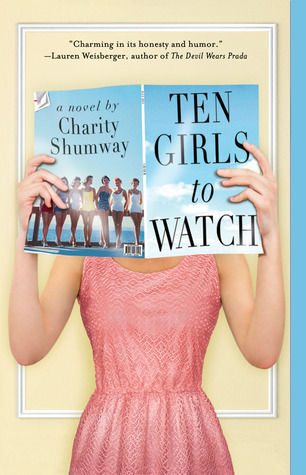 I’ll definately be on the look-out for more books by Ms Shumway in the future – and I hope that they live up to the standard that she set in Ten Girls to Watch. In the meantime, I’ll be on the look-out for any similar authors (if people have any ideas…). Overall, I gave it 4 stars.